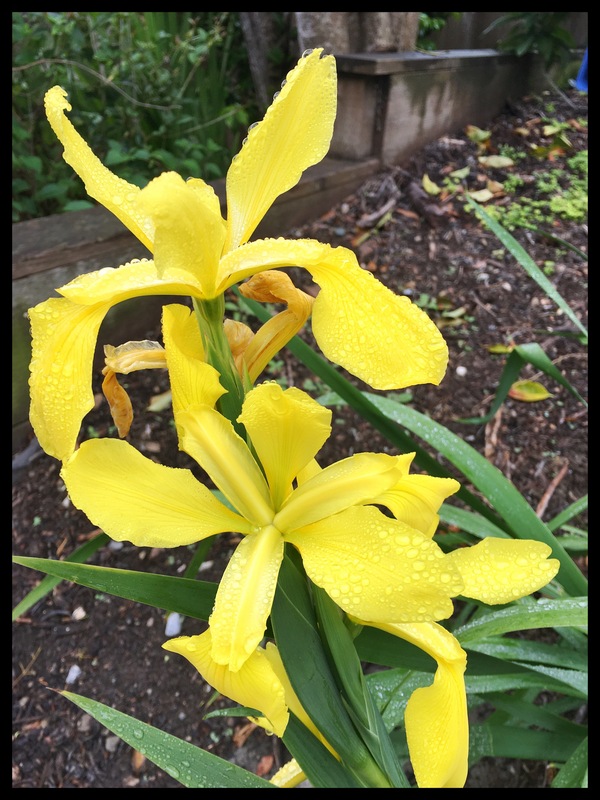 A friend gave me a beautiful yellow Iris a few years back. Each May, it bloomed and brought me a smile. His did the same, on or about his birthday. 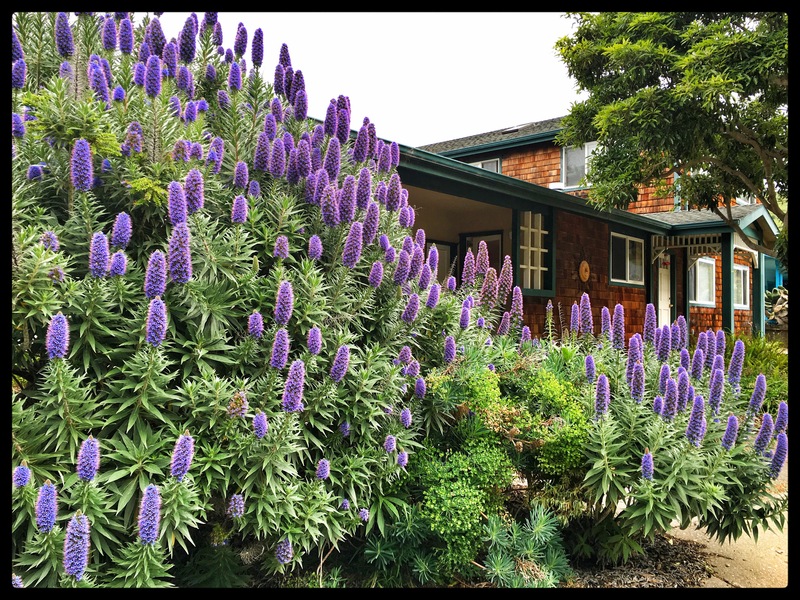 But our Echium (Pride of Madeira) grew to overwhelm the Iris. The Iris leafed but wouldn’t bloom from under the spreading Echium. The image below was its 2015 bloom. This year the Echium got leggy, branches broke, flowers dimmed. On a lark we had our gardener pull the sucker. Now hundreds of baby Echium fight each other for space as our patient Iris is strutting its stuff. Great pictures! Love the colors! Good stuff! You’ve got my follow. Check out my comedy blog and give it a follow if you like it! Beautiful photos, Tom. I love the Echium. We have it in our side yard and it thrives. The raindrops on the Iris make the photo pop. I hope that they don’t bicker too loudly with the Echiums at night for you.